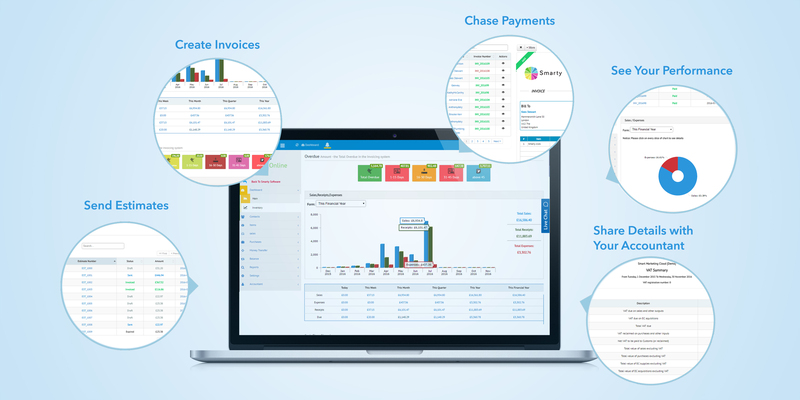 All-in-one business software for start-up and small business owners to help them grow. Fast. 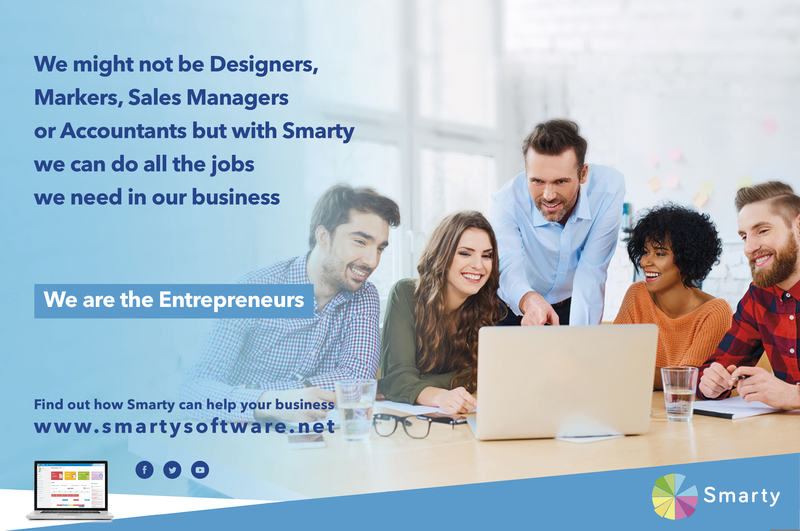 Smarty is a software company launched in late 2016. 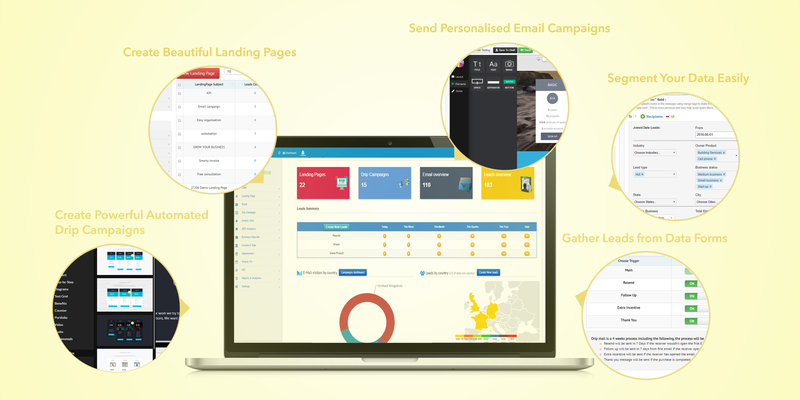 The intelligent software designed with entrepreneurs & freelancers in mind, Smarty combines interface invoicing, email marketing automation and web design with data reporting, CRM, appointment setting and much more. By combining everything into one piece of online software, businesses are able to save money on using multi-software, as well as training new employees on different systems. Software helps business owners with leads generation, sending email campaigns, sales opportunities, chasing payments and tasks management. Last year Smarty Software has been shortlisted in a prestigious listing by the Real Business Magazine as one of the most disruptive UK companies in 2017 ‘The Future 50’ and nominated for CRM of the Year 2018 alongside SugarCRM and HubSpot by Computing Network. For full list of founders please visit our Crunch profile here. We understand that entrepreneurs have to wear many hats, but it does not mean they need to be an expert in marketing, accounting and sales. 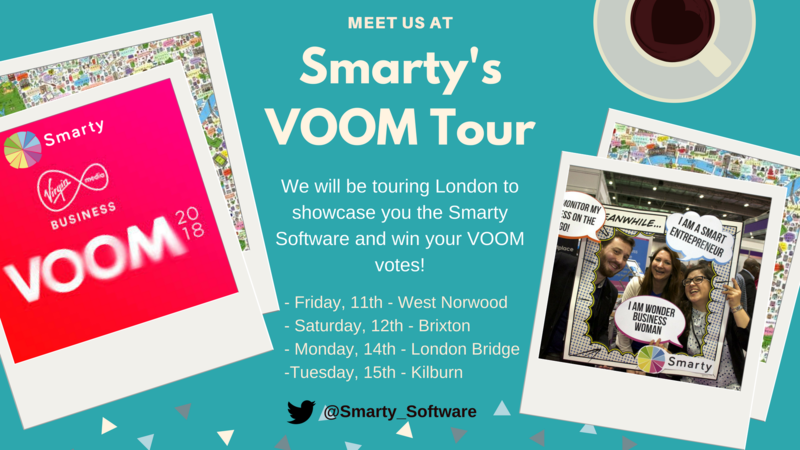 Let Smarty help you run and grow your business! MARKETING & SALES SUITE Design sophisticated web pages, send promotional emails, create self-running email campaigns, and monitor your SEO. ACCOUNTING AND PAYMENTS Issue quotations and invoices, auto-track payments, export tax records and much more. 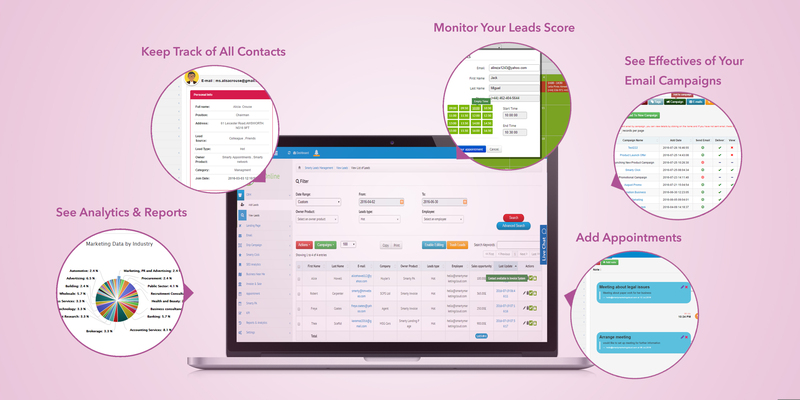 CUSTOMER RELATIONSHIP MANAGEMENT Manage contacts and leads in your CRM, analyse customer data, schedule appointments, and more. BUSINESS TOOLS Track sales, analyse staff performance, and monitor company expenditure - even while you sleep. This research comes after GoDaddy and Redshift last year found that 60 per cent of the UK’s very small businesses – those with five employees or less – didn’t even have a website. UK businesses must not only make sure they keep on top of digital trends in order to keep on top of competitors in the country, but also help to position the UK as global leaders in the business world. Research from tech.co and realbusiness.co, reports that entrepreneurs and small business owners work, on average, around 60+ hours per week. AutoMate conducted research and found that entrepreneurs could save about 15-20 hours of work each week by incorporating automation software into their business. By automating tasks such as sending recurring invoices, payment reminders, creating email campaigns and more, entrepreneurs will have more free time in their day. The UK government strategy (Digital Skills Strategy 2017) includes new commitments, including a plan by Lloyds Banking Group to give face-to-face digital skills training to 2.5 million individuals, charities and small and medium businesses by 2020. All that creates unparalleled opportunity to tap into digital marketing in small business industry. So, while there are other automation software out on the market, many of these focus in specifically on one aspect of business and can be very expensive, costing hundreds of pounds a month. 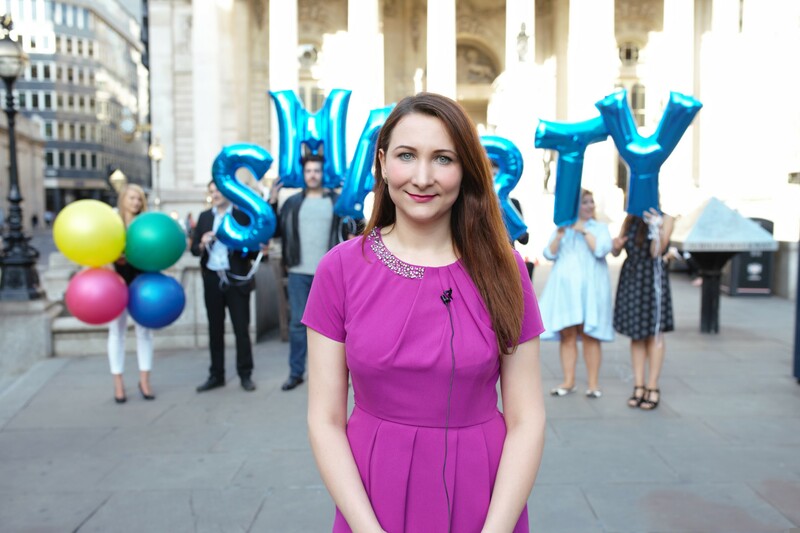 Smarty noticed this lack of integration and capitalised on it by designing a new platform that covers many different operations of running a business, at a low cost (averaging £50-100 a month) that small business owners and entrepreneurs can afford. 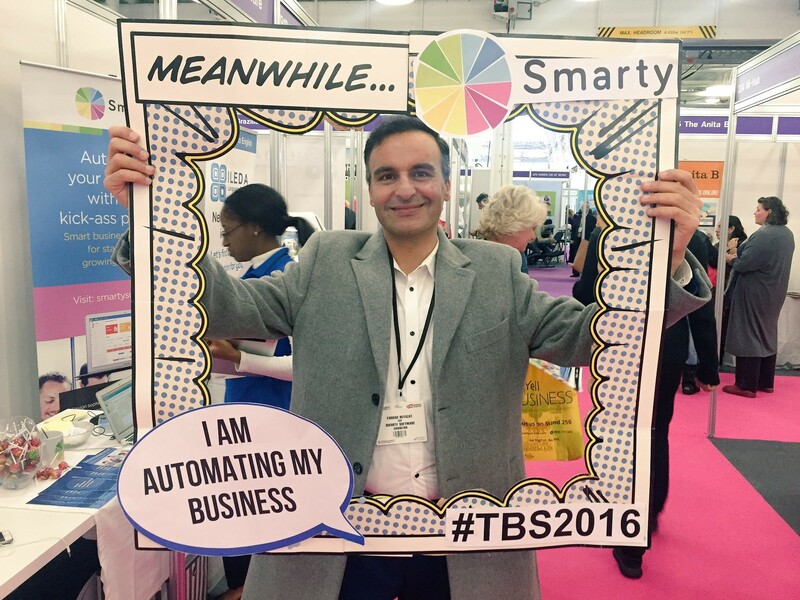 So TAKE YOUR BUSINESS TO THE CLOUD WITH SMARTY! Thank you for supporting our campaign and pleding your support. We have created a range of useful rewards to support start-ups, micro and small business owners. 1. Workshop - worth £250 - get it for just £180. 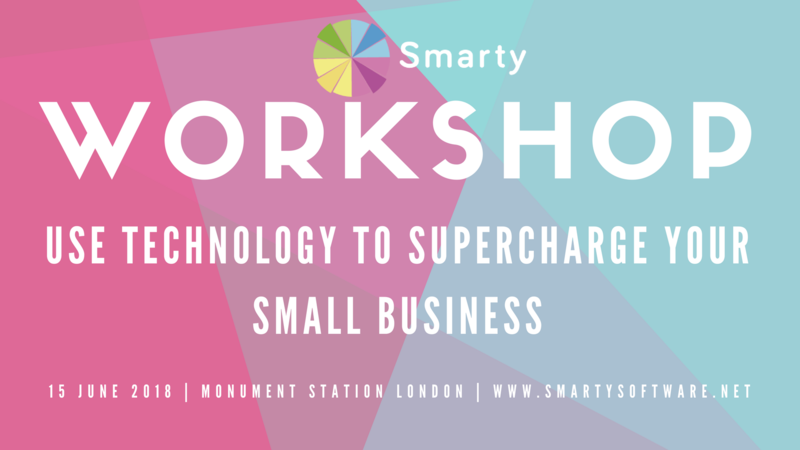 A full day workshop in central London helping you supercharge your business skills such as accounting, bookkeeping, marketing and management. 2. 1-Hour A Day Marketing Programme - Smarty Software's marketing team have created a comprehensive marketing programme which we will share with you to help you grow your business 25% in just 3 months. 3. Freebies - We decided to compile a list of “freebies” for you to try out! Our list ranges from different business automation software systems to online courses that you might find helpful.